Sarcasm can be funny if you don’t take things personally, but it can also be a form of hostile bulldozing. An aggressive sarcastic person can turn words into daggers while masquerading them behind humor. Usually sarcasm comes out quickly in a way that teases or mocks the other person. If you find yourself among this type of behavior, the best thing to do is walk away. This type of personality loves a good laugh, so if you just ignore them they will stop. But, if you feel the desire to say something, then here are some ways to do just that. Sarcasm sometimes carries wit that’s beyond nasty. It comes out in such a way that the words and tone make the recipient it feel uneducated. 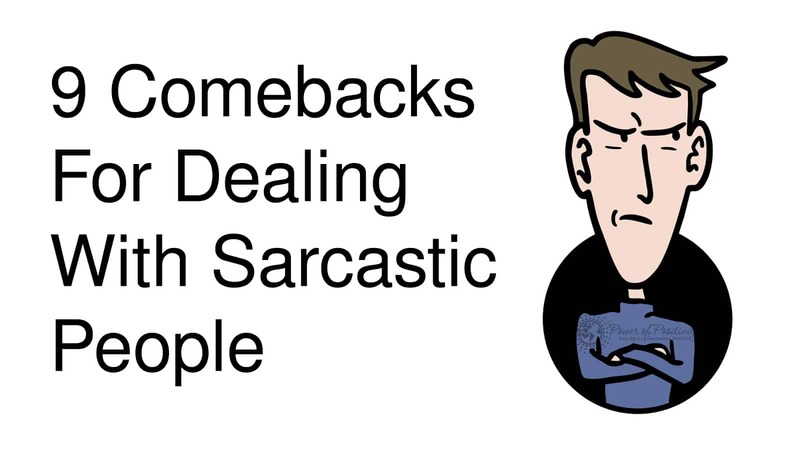 There are lots of introverts who use sarcasm to deviate from their own internal issues. Let this comeback force them to think before they say something to you again and walk away. There is a difference between being funny and being sarcastic. Sarcasm forces you to think and take things personally. However, returning with this comeback is a way to disarm that person for next time. You do not need to participate in every discussion with this type of person. Sometimes a person might have a reason to get a reaction from you. Observe their manner of speaking and body language. Is there something that is triggering them off? This comeback allows you to put them back in their place. And always just walk away with a smile on your face. People who are sarcastic love to get a rise out of others. Silence is golden. If you cannot say something nice, don’t say anything at all. But, sarcastic people will continue to push buttons to get a rise out of someone. Sarcasm isn’t always mean. Some people just have different sense of humors. If it’s all in fun and games then something like this comeback returns the humor. This comeback is a return on a nasty sarcastic one. Sometimes a sarcastic person can’t see boundaries. Something like this will stop them on their tracks and make them think if their comment was truly bordering on rudeness. Sarcasm is sometimes too much spice for one sitting. Then…walk away. This is for the moody sarcastic person who can’t see how intolerable she’s being. Sometimes when we are having a bad day we tend to snap in a sarcastic tone. As a reminder of negativity, this is one of those questions that keeps the person informed that pessimism is not accepted. There’s a thin line between being mean and sarcastic. A person can be one way and sarcastically express another side of themselves. This comeback lets the person know that you are aware of their Dr. Jekyll and Mr. Hyde. At times, sarcasm comes with a hefty dosage of opinions. It makes it even harder to swallow when you have not asked for a viewpoint or assumption from that person. This comeback reminds the person that their input is not necessary. Sarcasm can also arrive with sexual innuendos. They are uncomfortable and hard to take. 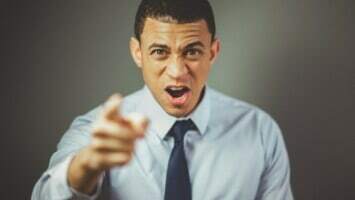 Even if the person is saying something in humor when it comes with nuisance and displeasure, it is necessary to stop that person before anything further arises. Sexual sarcasm can be distasteful and ill-suited. This is one of those comments that requires that you be stern when you speak. Set your boundary before it continues. When you are among someone sarcastic, listen but don’t respond immediately. Then remind that person of their intelligence and to use their wit appropriately. Relationships can suffer greatly if too much sarcasm is used. It can border on hostility and bullying. You get to decide what you tolerate in your life.